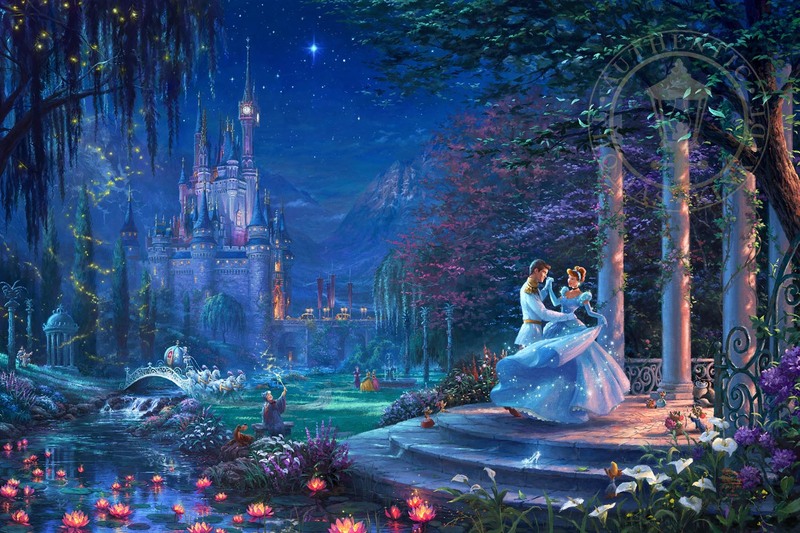 As Cinderella’s magical ball gown twirls, it sparkles from the light of the shining stars.Together she and Prince Charming dance the night away. Hidden into the backdrop is a small bench where Cinderella once sat, sad that things may never get better until a woman in a light blue cloak appears.. Not far from there, Lady Tremaine, the wicked step-mother, along with her viciously bitter daughters look on with jealous intent. 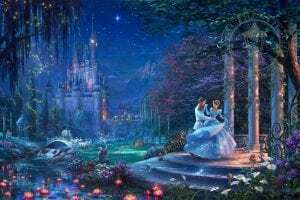 Finally, the glass slipper is left on the steps, the only clue that will reveal the true identity of this beautiful maiden, Cinderella.. For as the story goes, Cinderella has found her one true love and her life will never be the same.